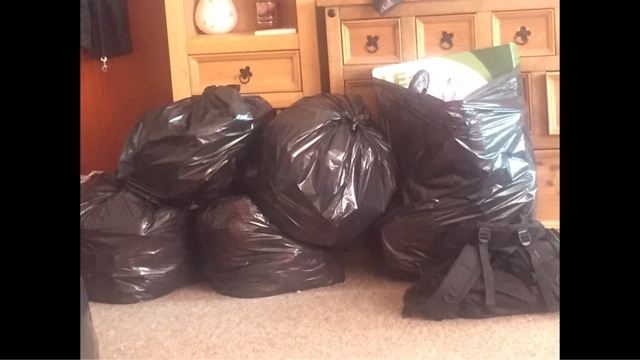 I am very honoured to be asked by mums net to have a home summer clear out so the house is free from clutter ready for the end of summer and start of the school year. I couldn't wait to apply and was so happy to be accepted. I have lots of extras in my home and some new especially when it comes to girls clothing and toys. I managed to find a whopping 20 black bags full and I'm pretty sure I could find some more. The feeling I got when freeing my home from all these things which some were new and unnoticed was really amazing I felt like a weight was lifted and my home was breathable again. I can honestly recommend this to anyone not just family's. There are things luring in your home unloved and untouched for god knows how long desperate for a new home. 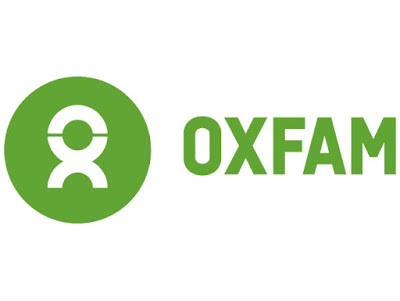 This way when you donate to oxfam your not just giving it away your stuff to anyone you know it's going to a shop to be sold to raise money for oxfam to help family rise from disaster and help end poverty. When your dropping off your donations you can also tag your bag! So every time oxfam sell one of your donated items if you qualify for gift aid they get an extra 25% from the government at no cost for you! This is amazing for them so they get more donations to do good with. Tag your bag couldn't be easier when you donate just fill in a form and as long as your a tax payer you qualify. You get personalised tag your bag stickers which can be used in future donation bags! And that's it oxfam is 25% better off with wash sale they make of your donations. I ended up donating to two shops one was just a book store and I have 7 bags of just books to them. And the rest went to my other local store which sold a mixture of items. £15 in sales is enough to buy five Oxfam buckets to keep life saving water clean and disease-free. Or it can help two vulnerable families to buy desperately needed food in an emergency. Or give a famer manure and fertiliser so they can grow enough crops to earn a living. There are so many ways donated stuff can help Oxfam fight poverty which is why donations are urgently needed. I urge you to look at your home and go room to room just as I did and ask your self do I need it? Have I used or worn it in 6 months. If the answer is no start a black bag or two and you can make a difference just like I did. I found doing this blogger summer clear out so liberating and freeing. My home is clear of clutter and unused chia thing and bits and pieces. And I would never have had the drive if I wasn't shown the way and given this opportunity by oxfam and mums net. So thank you for this chance to have a warm feeling inside for doing something good for people who need it far more than me. It's crazy how much stuff we accumulate isnt it? Always shocks me how much stuff I have when doing a clear out! Great cause too! What a lovely thing to do. I really need to have a massive clear out. I thing I could fill 20 bags too!